Mrs. Call is one of many teachers here at Chickering School. But she is special. She takes on the challenge of running the preschool with educational assistants. 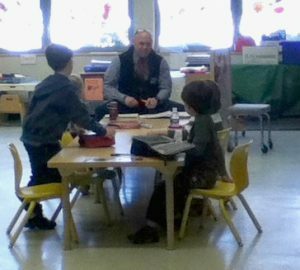 The kids come in at nine in the morning and have a wonderful learning day full of amazing activities and opportunities! So come and learn about the little known Chickering PreSchool! We were curious to know why the school decided to make the preschool. Mrs. Call’s immediate response was that some kids had disabilities that needed extra special attention that they could nurture. Before they had sent the kids with disabilities to other preschools. Pine Hill’s school (a school in Sherborn) was overflowing with bright toddler’s. Many of them could not get in because the school was too full. 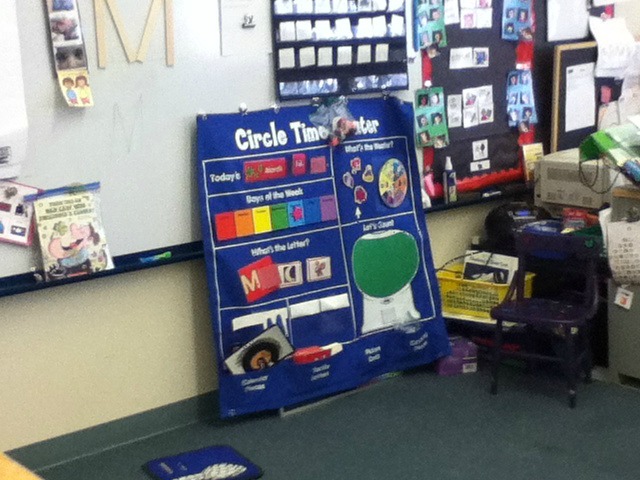 In the end, Chickering thought that they should have a preschool. 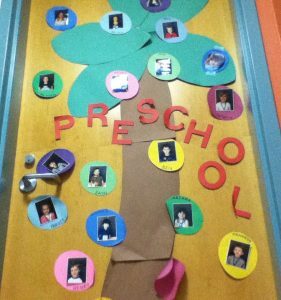 The benefits to the students is very important when they come to preschool and school in general. When we questioned Ms. Call on this matter she explained that the preschooler’s get to grow and talk with each other and that it allows them to be active members in the Chickering community. Plus many people such as students, teachers, and parents see them around the school. 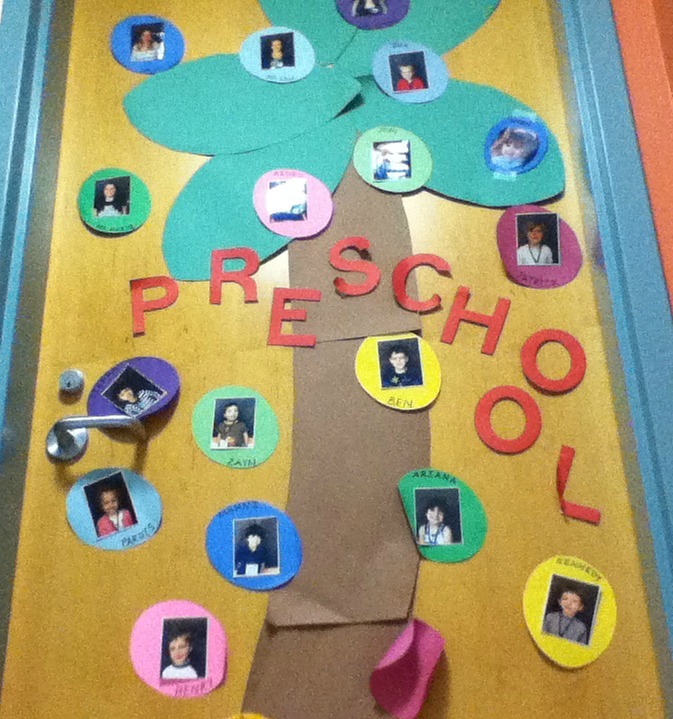 Many benefits contribute to the preschoolers experience at Chickering. When we inquired about the students schedule’s Mrs.Call had a very long response. The kids neatly line up at the lobby of the school and walk to their classroom. Next they unpack and hang up their coats themselves. They talk about the calendar and then rush off to the play at stations where they can pick what they want to to do or play for the next period. Some students do half days and some do full. The students who do half days only stay for snack; but the students who stay for a full day, stay for a quiet civilized lunch in their classroom. And go out for recess on there own private playground. At the end of the day there is more free time. And then they pack up and get picked up. We inquired of Ms. Call on the matter of: was she always teaching on her own or if there was another teacher with her. She responded that she has other teachers with her. Although Ms. Call is the main teacher in preschool there are other teachers with her like Mrs. Yanco the speech pathologist who helps kids with talking or swallowing disorders and Mrs. Hoffman who is an occupational therapy specialist who helps preschoolers nervous systems function. Other teachers include classroom teaching assistants who help with the children and things around the classroom. Teachers help the preschoolers prepare to be on on their way to kindergarten. Ms.Call adores her students and loves them but what is her favorite thing about them? Let’s get the scoop! Throughout the year Ms.Call has loved to watch them grow and get more mature and learn to love school. She remarked that watching them is an amazing adventure to go on with colorful learning experiences. Ms.Call truly enjoys teaching her wonderful class. Part of the children’s days include play time so we asked Ms.Call what are the students favorite activities. And Ms.Call had a winner, triangular magnetic tiles, when she takes them out their inner engineer comes out and they create masterpieces. When she takes them out they’re so excited, they immediately want to play, play, play. The kids like to build with the magnetic tiles after a pleasing day of fun, it is exhausting! Even though in the classroom kids learn many things there are so many opportunities that require them to get outside the classroom. We were curious to know if the toddlers’ specials are different from the other grades. Ms. Call told us that there were many specials like Gym or Motor Group where children stretch out from a long day at of learning. Another special that the kids have is Library where kids get engaged in books. Finally, music is a chance for preschoolers to sing songs. All in all, every part of the children’s day is fun but specials are extra exciting for the kids. Ms. Call has been at Chickering for a jaw dropping 13 years. But what did she do before she came to our lovely school? Let’s find out. Ms. Call taught in another school district, but she felt she needed something fresh and new so she came to Chickering! We’ve always had that one dream job that we always wanted. We wondered if that dream came true for Mrs. Call or if she stumbled across it one day. She explained that the wish was sparked when she started babysitting at just 11 years old! When she babysat for a little girl she decided that she wanted to teach little kids for the rest of her life. Ms. Call is clearly a fantastic teacher. 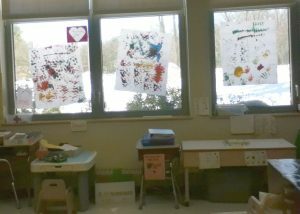 Ms. Call’s amazing connections with her students, help from other special education teachers, and the patience to set up individual play stations so her beloved toddlers can make the right choice … At the end of the day Ms. Call is truly a preschool superhero!